Spoonflower’s new Lightweight Cotton Twill is an absolute dream to work with. The weight is the perfect go-to for a multitude of projects, especially totes! The combination of this easy to work with material and its tough weave will ensure that you’ll end up with something that will not just look amazing, but wear well. 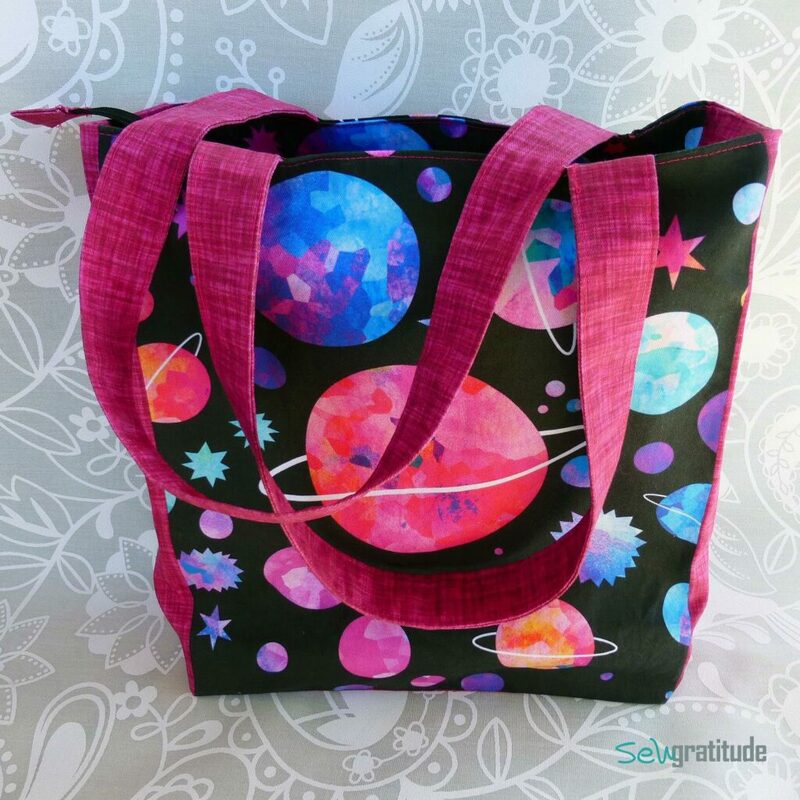 In this tutorial, Gia from the blog Sew Gratitude will to take you through a simple “hack” using the Lightweight Cotton Twill and an Everyday Tote project from Sprout Patterns. Each Everyday Tote is printed to order on a full length of twill. Which means once you cut out and prep your tote you’ll have a HEALTHY chunk of fabric leftover to work with, almost 400 square inches worth! It’s an amazing deal to have the leftovers to coordinate. Without further ado, let’s jump into the how-to!